If you live in Florida, you know sports and sports activities are available year round! The Florida Sports Expo will provide you and your loved ones with an exciting fan oriented & family friendly event. Taking place at the Orlando Festival Park March 11, 2017, 10am – 3pm, the expo will host over 40 interactive exhibits, giving visitors the chance to come face to face with various organizations serving the Central Florida sports, activity, and health community. The expo will bring fun to everyone with numerous activities, games and prizes. Kids and teens can enjoy bounce houses, Stop on board the Tampa Bay Buccaneers 40-foot RV and get your own stadium and locker room experience! Play 60 Drills: Test your skills as you run through Buccaneers Play 60 drills! Test your arm and see how many targets you can hit! Get in the game by trying on the gear the pros wear! There will be a Golf Challenge, Gaming and more. Attendees will also be able to meet some of their favorite former Pro Players and Cheerleaders, the UCF Spirit, Baseball and Water Polo teams! The main stage will have live entertainment throughout the day! 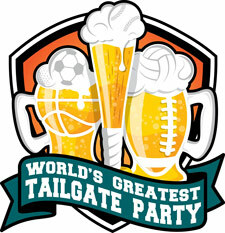 The fun continues at 3pm with the World’s Greatest Tailgating Party! VIP party at its best with food, Tito’s Vodka, Red Bull, beer, giant beer pong, celebrity corn-hole, TVs, and MUSIC! There will be a special promo code compliments of UBER for safe driving. Note to Editors: Florida Sports Expo is a production of the Florida Sports Alliance.